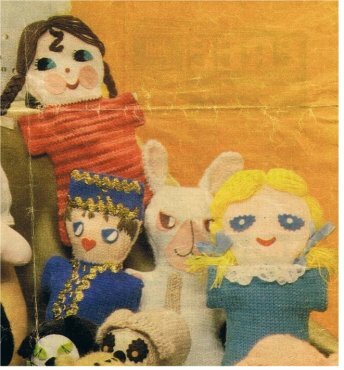 Free puppet patterns for knitters. 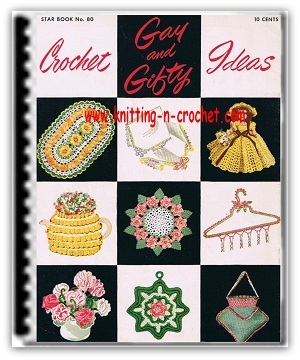 If you are looking for a few gift ideas for a child here you will find five free puppet patterns to knit up in no time. These five characters are in search of a glove puppeteer. They are all quick to knit from odds and ends of wool. Remember these are using UK needle sizes so do check out my page for UK to US charts and needle conversion. One 25 g ball of Double knitting in each of 2 colors for little girl blue, little girl with curl, fairy and prince; two 25 g balls of double knitting for rabbit; a pair of No. 10 (3 1/4 mm) knitting needles; oddments of double knitting for features; cotton, felt, braids, ribbon, sequins and lace for trimmings. A medium size crochet hook for fairy, and silver foil and a thin stick for wand. K., knit plain; p., purl; st., stitch; tog., together; inc., increase (by working twice into next st.); dec., decrease (by taking 2 sts. tog. ); s.s., stocking stitch (k. on right side and p. on wrong side); m.st., moss stitch. BACK AND FRONT ALIKE: With No. 10 (3 1/4 mm) needles and blue, cast on 32 sts. 1st m..st. row: * K. 1, p. 1; repeat from * to end. 2nd m.st. row: * P. 1, k. 1; repeat from * to end. Repeat last 2 rows, twice, then 1st row again. Beginning with a k. row, s.s. 6 rows, then dec.1 st. at each end of next row and the 2 following 7 th rows – 26 sts. For sleeves: Cast on 5 sts. at beginning of next 2 rows—36 sts. For shoulders : Cast off 9 sts. at beginning of next 2 rows--18 sts. Break off blue, join in pink and p. 1 row. On 26 sts., s.s. 11 rows. Dec. 1 st. at beginning of the next 10 rows. Sew outer edges tog. leaving straight row ends of sleeves free for fingers. Sew strands of yellow wool to join of head, catching into place at intervals, leaving ends free to form bunches. Tie a ribbon round each. Gather a piece of narrow lace and attach to neck at color change, Cut 2 half circles of blue felt, "pink" the edges and sew into place for eyes. Finish the center of each with a small white circle of felt. Cut a red felt crescent shape and attach for mouth. Work back and front as for little girl blue, but using red random instead of blue. Join pieces tog. as for little girl blue. Sew strands of brown wool to center top of head at join, then catch to head two-thirds down and plait remainder. Finish each plait with a ribbon. Embroider a curl down center of head with brown. Cut 2 half circles of black felt and sew on for eyes, then cut 2 quarter circles in blue felt, cut a "v" in one side and attach to center of eyes. Work lashes in black cotton. Cut 2 large pink circles of felt and attach for cheeks, then cut a crescent shape in red and sew on for mouth, then attach a small red circle for nose. Work back and front as for little girl blue, but using white instead of blue. Join pieces tog. as for little girl blue. With yellow wool crochet a long chain and attach to head for hair, looping occasionally to represent curls. Sew a piece of silver braid round hair, and add several sequins. Cut 2 half circles in blue felt, "pink" the curved edge and attach for eyes, then cut 2 quarter circles in white, "pink" curved edge and attach to center of eyes. Work straight sts. in black cotton to center lower edge. Cut a circle in pink felt with a hole in the center and attach for mouth. Color cheeks slightly with blusher. Decorate front of fairy with sequins. Make a star with foil and attach to a small stick for wand. Work back and front as for little girl blue as far as **, but using royal blue instead of blue and beige instead of pink. Break off beige, join in royal blue and s.s. 12 rows for hat. Cast off. Join pieces tog. as for little girl blue. Sew 2 rows of gold braid along top and bottom of hat, and sequins between. Work straight sts. in brown for hair. Cut 2 blue "tear" shapes in felt and sew on for eyes, then attach 2 white half circles of felt in center. Cut a red felt heart and attach for mouth. Sew 4 gold sequins down center front for buttons then outline these with gold braid trimming. Work back and front as for little girl blue, but using white throughout. With white cast on 7 sts. M.st. row: K. 1, * p. 1, k. I; repeat from * to end. Repeat m. st. row, 20 times more, then change to pink and work m.st row 21 times more. Cast off. Fold in half and join cast-on and cast-off edges tog., drawing up to gather for top edge. Join side seams. 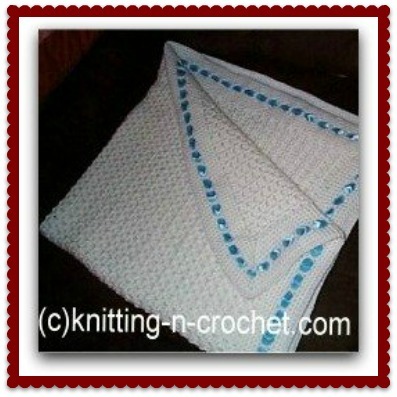 Fold lower edges and sew into place. Cut a pear shape with pink felt and attach for nose section. Embroider nose and mouth with brown cotton and teeth and whiskers with white cotton. Cut 2 pink "tear" shapes and attach for eyes, then 2 smaller "tear" shapes in maroon and attach to center of eyes. Cut 2 white half circles and sew in center. Make a small pompom in white yarn and sew to back for tail. Cut 2 half circles of pink felt and attach for paws. More free puppet patterns will be posted shortly.